As a dog owner, I always assumed that the city had a rule against dogs on patios and quietly enjoyed how infrequently it was enforced. Until recently, city officials seemed to leave it up to business owners to decide whether or not to allow canine patrons on their outdoor patio space. This week, however, things have changed. Why? We don’t really know for sure, but the Department of Health seems to be stepping up enforcement of a city-wide rule that prohibits all but service animals on restaurant and bar patios. And take note that emotional support animals are not the same as service animals —that’s a debate for another time and place. News started to spread on PoPville and Washingtonian that complaints to DOH sparked the recent actions. 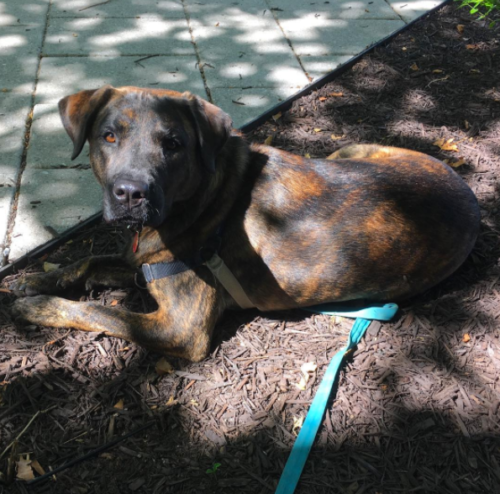 The DC Council, which has likely received a lot of calls and emails from dog owners, is working on emergency legislation to allow business owners to make the call. According to DCist, co-introducers of the bill include Health Committee Chair [Vincent] Gray, Ward 1 Councilmember Brianne Nadeau, Ward 4’s Brandon Todd, and Ward 6’s Charles Allen. After a 5,000-mile road trip this summer with my dog, I found myself appreciative of how dog-friendly our neighborhood is. There are a number businesses —ones that do not serve food, mind you — that keep jars of dog treats at their checkout counters and water dishes by their front entrances. Oliver knows them all well and loves running errands with me. Just this week, I got to enjoy a Monday happy hour at a local patio, with Oliver happily hanging out next to us. Many of the places we visited on our trip were equally pet-friendly, especially Colorado, where four-legged companions were even allowed inside some bars and restaurants with us. Other areas, where dogs are seen more as working animals who live outside, were a bit less so. 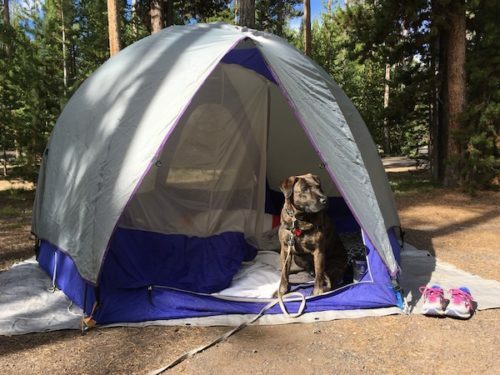 But in every state we stopped in, we had little trouble finding a dog-friendly hotel or campground, and dog-friendly patios and parks. Using Yelp and Bring Fido, it actually became a fun game to scout out the best spots that would welcome our whole pack. We found a number of neighborhood gems that we may not have found if we were simply visiting the most touristy of each area. I do understand the concerns about dogs being allowed in small areas and in places where food is served, but I also strongly support letting business owners make the call about their patios. There are plenty of patios in the city that are big enough for all to enjoy. And dog owners are generally very conscious of the behavior of their pets. Yes, there are some who are less considerate, but that applies to every type of patron out there, from those talking loudly on the phone, to those using inappropriate language, and beyond. As Washington City Paper noted in its interviews with dog care professionals, many of the arguments against dogs on patios don’t hold much weight. If you want to weigh in on whether dogs should be allowed on patios, or in other types of businesses, contact your local Councilmember.